Most swirls come from washing and drying so using top quality materials and techniques is critical. 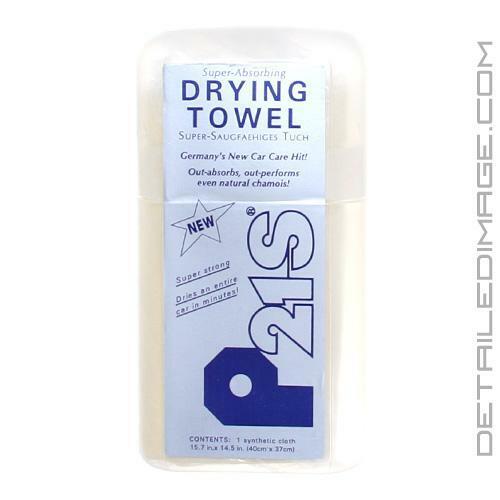 The P21S Super Absorbing Drying Towel is a paint safe drying tool that soaks up large amounts of water safely and quickly. Tens of thousands of people around the world trust this German engineered towel to dry their vehicles. It's well known for its ability to soak up all moisture in its path so you don't leave any streaks behind. 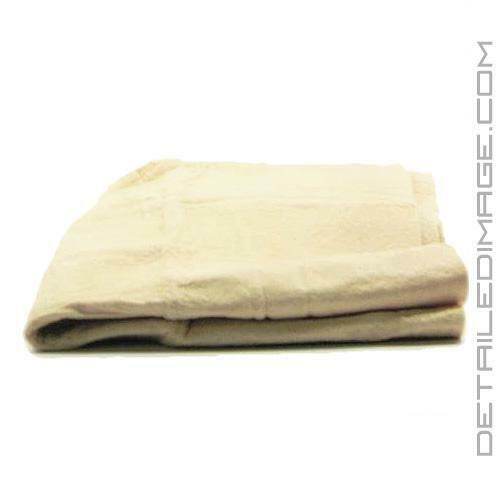 It's also known to leave no lint behind, where as some low quality towels leave all kinds of fibers behind that detract from top quality detail work. In between uses the Super Absorbing Drying Towel will not dry up and become hard like low quality chamois, instead it will retain it's original shape and soft feel for years to come. The towel comes rolled up in it's own air tight storage container, which helps preserve it in between uses. The towel is made from 100% bio-degradable materials so it's environmentally responsible as well. In total this towel has everything a detailer can ask for from a drying towel so pick one up today. This unique Super-Absorbing Drying is the easiest and fastest way you've ever seen to dry you car! Its amazing absorbency provides no-streak, lint-free drying of an entire car in minutes. You can quickly and easily dry bodywork, glass, mirrors, chrome, plastics, dashboards, leatherette and vinyl, etc... Best of all this towel is made from 100% biodegradable materials and manufactured without the use of CFC's or formaldehydes and it totally mildew-proof. Thanks to this handy pouch, your towel can be kept in the glove box, always at your fingertips for quick dusting or large wiping jobs. IMPORTANT! Remove towel from bag, but do not unfold. Using faucet, pour very warm water into ends of folded towel. Now gently open, aiming water stream at any points of resistance. Once open, rinse until all slippery residue is removed. Rinse towel thoroughly and wring out after each use. 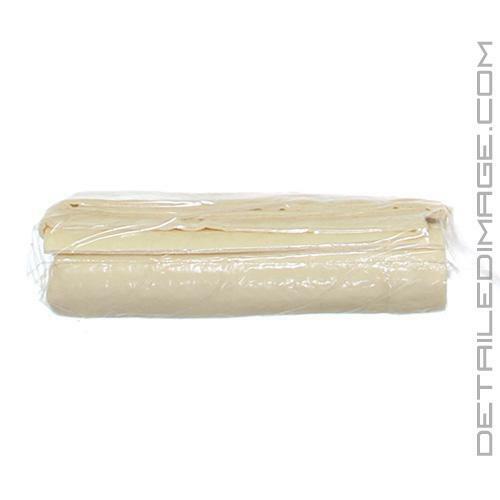 Store moist in pouch. If soiled, hand or machine wash in warm water with household laundry or dish detergent. Do not place in drier! Tip: Towel may dry draw water off best when folded! It stuck to cars surface. I need a soft and absorbent towel, but it must also slide over the surface, not stick to it. Awesome, Awesome, Awesome! This is the best drying towel I have ever had. It soaks up the water completely with just 1 or 2 passes, and if it gets dirty, it's very easy to clean. I'll probably buy another one. Definitely get this one! Easy to use and super absorbent. Cleans up well.